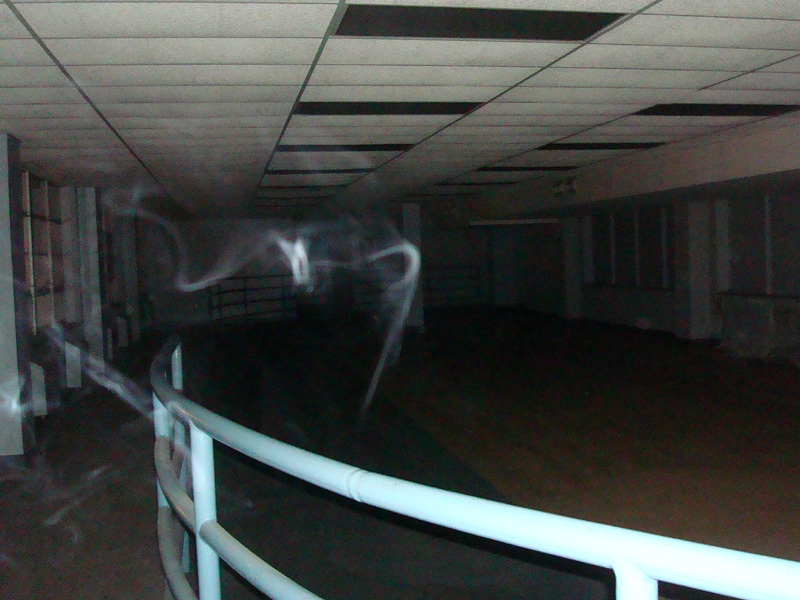 Is Marion’s now defunct downtown YMCA haunted? Given the terrible and senseless crime that took place there in the 70s, it certainly seems to be a possibility. Even more tantalizing, in early 2011 the now-defunct ghost hunting group Eerie Paranormal spent that night there and gathered some compelling evidence to support this rumor. Read all about it in Haunted Marion, Ohio! 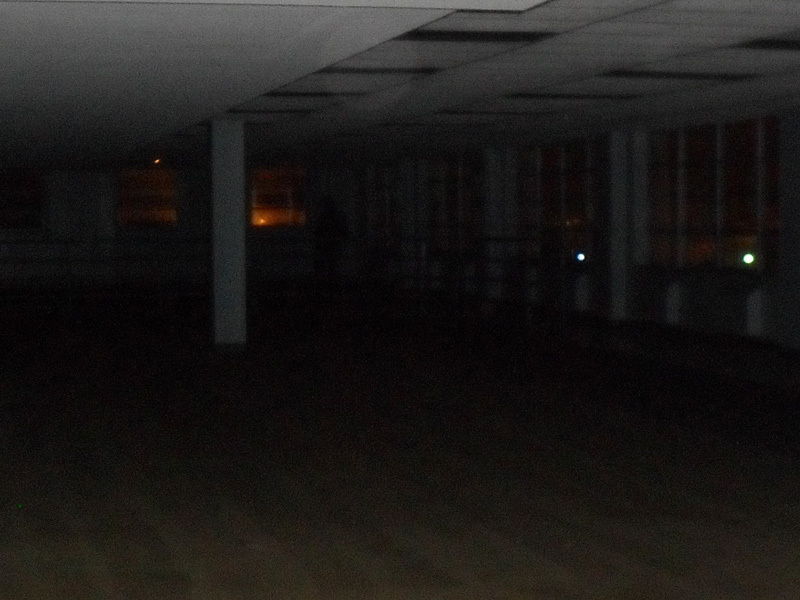 An ethereal shape hovers over the track on the third floor – the floor where a murder took place 1974. 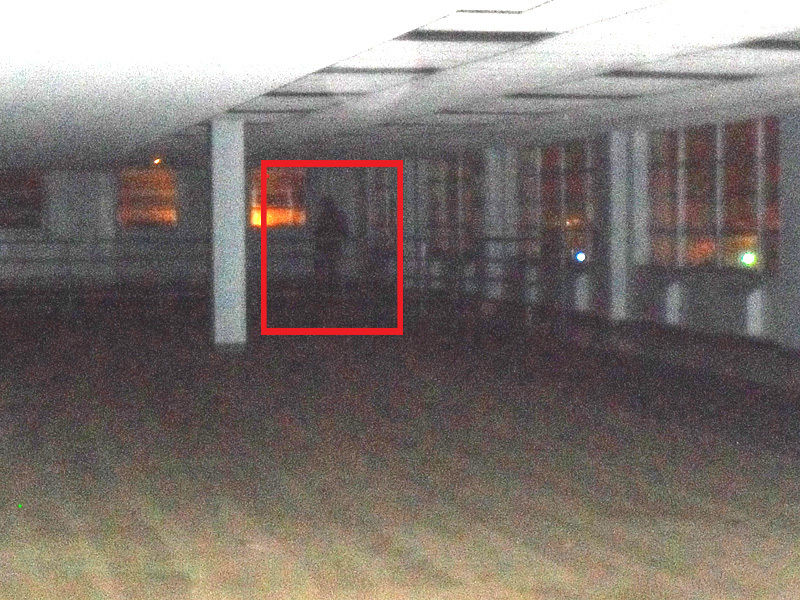 Group member Kathy Miers says that everyone in her group was accounted for when she took this picture of what appears to be a shadowy figure in the far corner. This is the same photo as above but with the brightness and contrast adjusted. Here the figure is much better defined. Yes, me, Brian, Teri and mom (Kathy) were all downstairs at the time when Jeff caught this shadow figure upstairs in the corner on the running track. Spooky!!!! 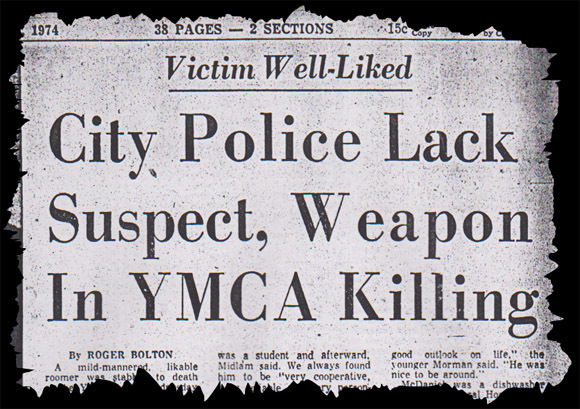 How do I get a copy of the ad that was in the newspaper about the stabbing at the old Marion Ohio YMCA? I have tried everything! Was the man who was killed named McDaniel? I want to know more about this story. If you live in the Marion area, go to the Ohio Reading Room of the Marion Public Library. They have old editions of the Marion Star on microfilm. The above clipping is from August 22, 1974. 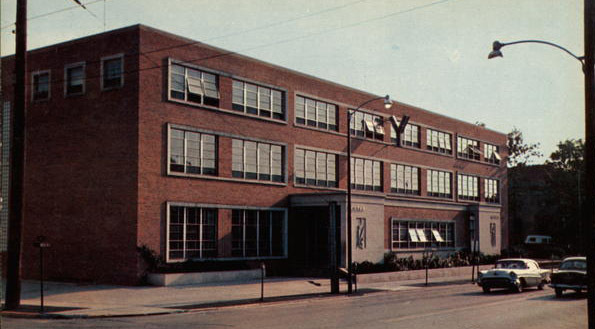 My grandmother was working at the YMCA at that time. She is the one who found the body. I used to work out there daily and never had these experiences, but would love to go in there and investigate. The man was my uncle, Ronald David McDaniel. My parents were gonna have him come live with us. But they never got to ask him. I used to play basketball there a lot, ride the exercise bike by the indoor track and walk/run on the indoor track there during my Sophomore, Junior, and Senior years of High School, but I never had any paranormal experiences there……Thank God! I know the person who owns the building now. It’s creepy in the basketball court. If you’re by yourself, you feel like you’re being watched from above. I’m only 15 and I would love to go investigate some stuff like this.